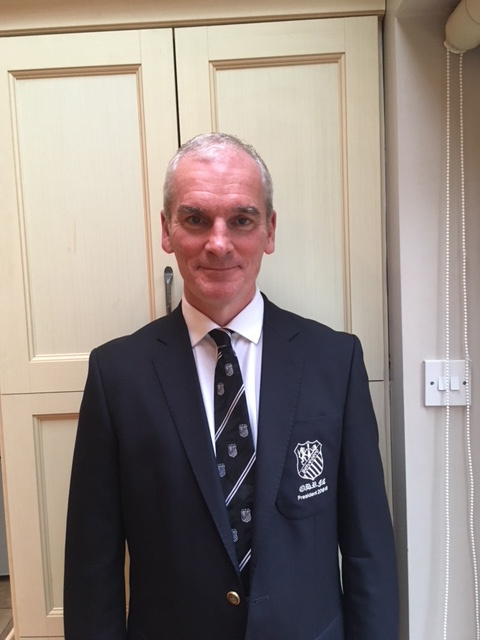 It is a great honour to be elected as President of Old Belvedere RFC for the 2018/19 season. I am delighted to be given the opportunity to represent our club at home and on the road this year. This season we are celebrating “Belvo 100 “ the foundation of our club 100 years ago and it promises to be an eventful and exciting time both on and off the pitch in Anglesea road. I would encourage all members past and present to support our teams and events during this historic year. On the pitch we provide playing opportunities for around 750 players on a weekly basis. We send out five men's teams, two u20s and three women's teams. We also have a vibrant mini rugby section and we are in the process of building a successful youth section. We are fortunate to have Steve Crosbie returning from Connaught to Captain our club this year. Andy Kenny and Ian Smith will coach our senior side. They have already brought great organisation and work ethic to the team which augurs well for the season ahead. This year we will play in division 1B of the AIL. It is our ambition to gain promotion to division 1A. I wish Steve, Andy, Ian and all our senior panel and management every success in our quest for promotion. None of our clubs activities and aspirations would be possible without the dedication and commitment of all our volunteers without whose input, the club would not function. We have over 100 volunteers actively giving of their free time to make sure our club remains a vibrant, successful entity. I would like to thank in advance all those who support our great club as team members or management, those who serve on committees and those who cheer our teams from the touchline. Our thanks go to all our sponsors who contribute so valuably to the running costs of our club. Particular thanks go to our main sponsors John Mahony and Steve Tormey,two former distinguished players and past Presidents, who will sponsor our club through the Toyota and Lexus brands . Finally I would like to welcome any teams and guests visiting our club this season. I hope they will be afforded great hospitality from our club and it's members.